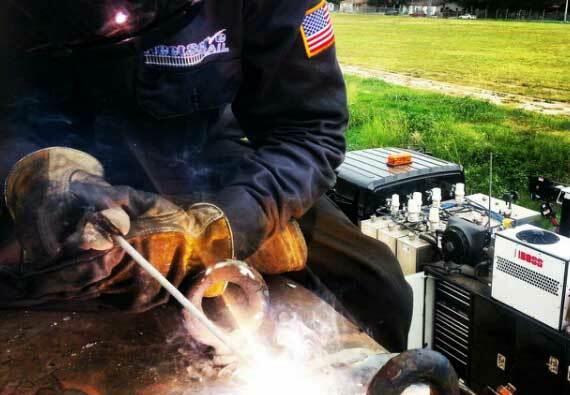 FleetServe Rail LLC, based in Ponder, Texas, is a wholly-owned subsidiary of FleetServe, the industry leader for outsourced preventive maintenance servicing the oilfield sector. The company was launched in 2013, to provide outsourced preventive maintenance on locomotives and complementary repair services to the railroad sector. 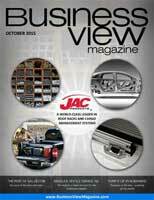 This new approach for mobile, on-site maintenance was a rail-industry first, and it enabled the company, as the nation’s largest and most experienced provider of preventative maintenance services nationwide, to dramatically increase its customers’ locomotive service availability while delivering substantial cost savings and reducing costly downtime. FleetServe’s parent company began in 1980 as Autoserve, specializing in commercial and consumer preventive maintenance. In 1996, it acquired a small, on-site, fleet service company and began the transition to FleetServe LLC, combining extensive experience in preventive maintenance with knowledge of proprietary fleet operations, and multi-location, on-site services. With customizable programs designed for clients with 10 to over 8000 vehicles on one or more than 200 locations, FleetServe was able to service the majority of customers throughout the southern United States. During the late 1990s, FleetServe began offering its expertise to the oil and gas industry, and the growth in heavy equipment servicing at oil and gas well sites began to surpass its fleet-maintenance division, soon becoming the company’s core business. Today, FleetServe still services some of the country’s largest and most well-known oil and natural gas providers. Finally, two years ago, FleetServe acquired a small locomotive service and repair company, which it absorbed into its corporate structure to become FleetServe Rail – an on-site and on-demand maintenance and repair service for locomotives. FleetServe Rail builds customized programs for each of its clients in order to ensure that their locomotives remain Federal Railroad Administration (FRA)-compliant, and running at maximum efficiency. 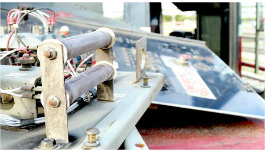 The majority of the issues with locomotives are related to old, faulty electrical equipment and wiring. FleetServe Rail has highly experienced locomotive mechanics, electricians, and engineers who diagnose and repair any and all locomotive electrical problems. The company’s professionals are also capable of installing AESS (smart start), BOA (anti-wheel slip), PTC (positive train control), remote controls, and many other locomotive, electrical upgrade options. 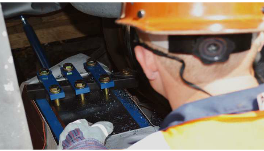 In addition to electrical repairs, FleetServe Rail also tracks down and repairs mechanical and pneumatic problems, from locomotive wheel cutting and truing, to changing prime movers, to tracking air leaks in pneumatic equipment. And, of course, no repairs require moving a locomotive to the yards or off-track. Through years of methodically engineering and re-engineering proprietary systems and structures, FleetServe has developed a system of quality checks and balances along with a fleet of highly-engineered custom mobile-workstations enabling service in all weather conditions, terrains, and time of day. This on-site, on-demand service is designed to save its customers both time and money. In addition, FleetServe Rail completes and keeps detailed records of every service to ensure clear communication as well as FRA compliance. This past spring, FleetServe Rail was awarded the first Federal Railroad Administration Training Program Certification in the locomotive, field service industry, setting the company apart from all other field service providers. Currently there are no federal requirements for hostlers to be certified while performing mechanical servicing facility duties. As an industry first, FRA-certified training means rail customers, including class-1 railroads, short-lines, and any other organization that owns or maintains locomotives, can be assured of the highest quality service by certified technicians and locomotive mechanics. FleetServe Rail’s training program was previously acknowledged by many to be one of the most exhaustive and extensive training programs available for mobile locomotive repair companies. Now it is the only one to be FRA-certified. The FleetServe Rail Team is made up of highly trained professionals, all of whom espouse the company’s core values of integrity, honesty, attention to detail, timeliness, and professionalism. 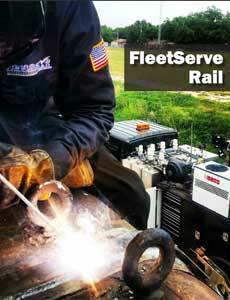 FleetServe Rail does not contract out any work, all work is done by highly-skilled FleetServe Rail employees. Today, FleetServe Rail’s locomotive service area encompasses the entire, lower 48 states, as more and more customers from across the country look to it for quality locomotive service and repair that is second-to-none in terms of convenience, cost-effectiveness, and reliability.